As the technology of pelletizing is mature, EFB pellets is a great entry for Malaysian investors. The capital to start an EFB pellet plant is extremely low, about RM 30 – 40 million ( about $ 8 million) to start a plant with the capacity of 100,000 ton/h and the payback period of investment is fast, about 6 years. The EFB pellets made in Malaysia can be shipped to East Asia and EU area, where already has an established market demand for biomass pellets. A research has shown that until 2020, the whole world demand for biomass pellets will be 20 million tonnes annually. For Malaysian biomass pellets manufacturers, with the advantage of short-distance transport, it is an excellent choice to export EFB pellets to South Korea and Japan. South Korean and Japanese policies have indicated a increased demand for biomass pellets in their countries. In 2013, the first biomass power station is planned to operate in Dong Hae, South Korea, the estimated demand for biomass pellets is 5 million tonnes by the year of 2020. There is a longer import history of biomass pellets in Japan than it in South Korea. while the demand is increasing, the competition is also increasing. Therefore, it is important for the Malaysian biomass pellet manufacturers to catalyze their natural advantages and make an efficient delivery. In Malaysia, the agriculture industry generates 12% of the GNI (Gross National Income). 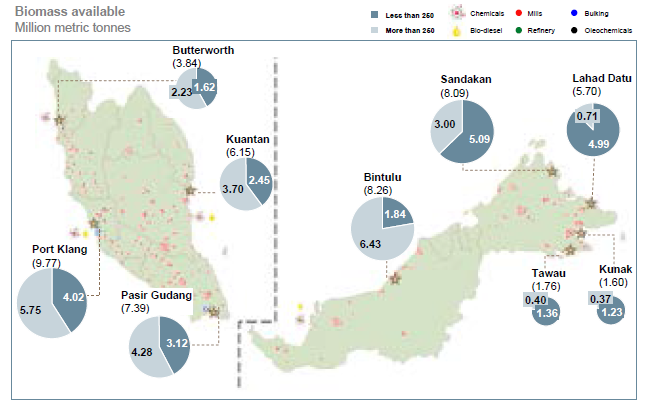 Without doubt, the palm oil industry contributes the most, about 8% of the GNI, over RM 80 billion (about $19 billion). To create the fortune, a large amount of biomass has been generated every year. According to the official statistics, the Malaysian palm oil industry generated 83 million tonnes dry biomass wastes, and the estimated number is over 100 million tonnes by 2020. The situation determined that the Malaysia National Biomass Strategy (2020) has focused on oil palm biomass. 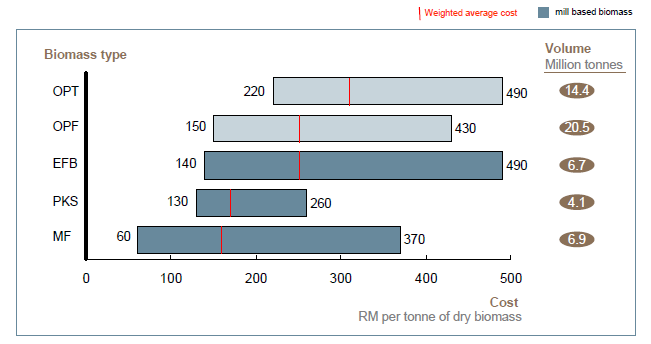 Except the low cost, EFB pellets also have a higher thermal value than wood pellets. It is easier to store and has a smokeless performance. It provides a competitive position for the EFB pellets in the biomass pellet market. Currently, most of the oil palm biomass in Malaysia is left in the field, only a small amount of oil palm biomass has been utilized to make pellets. But with the growth of the industry, finding the biomass with the most competitive price is very important for the Malaysian biomass pellet manufacturers. There is a complete EFB pellet line that Gemco built for our client in Malaysia. 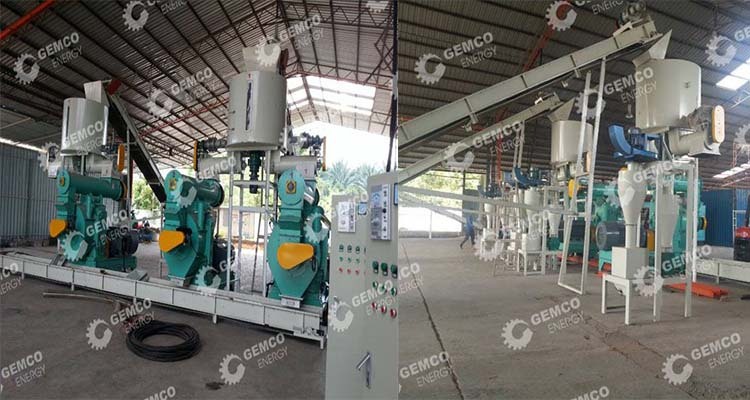 As the EFB has a higher moisture than normal wood chips, about 50-60% of moisture content, Gemco customized the pellet line to solve the problem, of which our client speak highly.